As reported earlier this week, SANZAAR have confirmed that they've dropped the only Asian-based franchise in the competition, and will revert to a 14-team round-robin competition format. "It has involved some detailed analysis and a thorough review of the current and future rugby landscape, tournament costs, commercial and broadcast considerations and player welfare in line with our Strategic Plan." 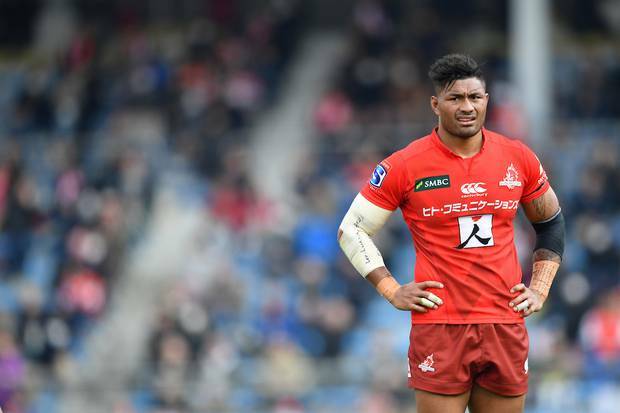 The Daily Telegraph reports that many of the Sunwolves' Japanese talents are also contracted in the Top League which is where they earn the bulk of their salaries. As a result, they won't be available for the Sunwolves. This season's Sunwolves are already loaded with Anzac talent, with 14 Kiwis and four Australians among this year's squad. "SANZAAR was advised by the Japan Rugby Football Union (JRFU) in early March that they would no longer be in a position to financially underwrite the Sunwolves future participation post 2020," said Marinos. "The future of the Sunwolves will now be determined by the JRFU which has determined that Super Rugby no longer remains the best pathway for the development of players for the national team." This will then lead into a new top six finals series. The top two ranked teams on the competition ladder will receive a bye in week one before hosting semifinal matches against the winners from a knockout round between teams ranked three to six.